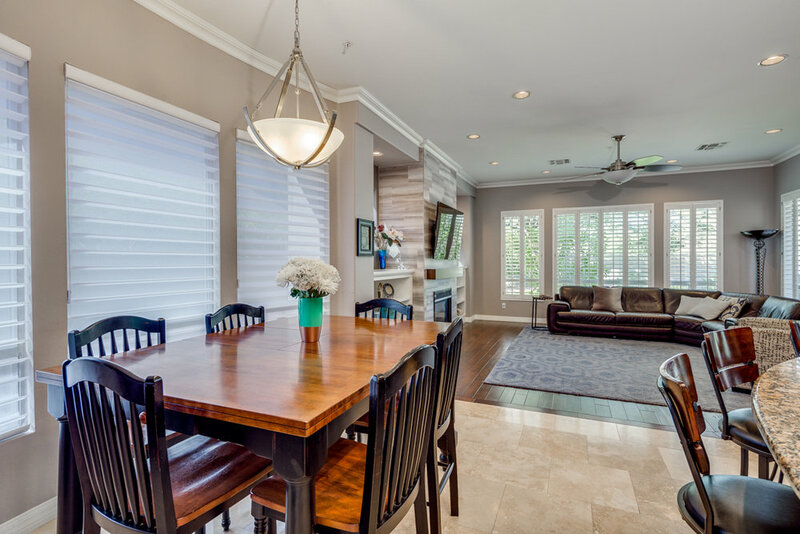 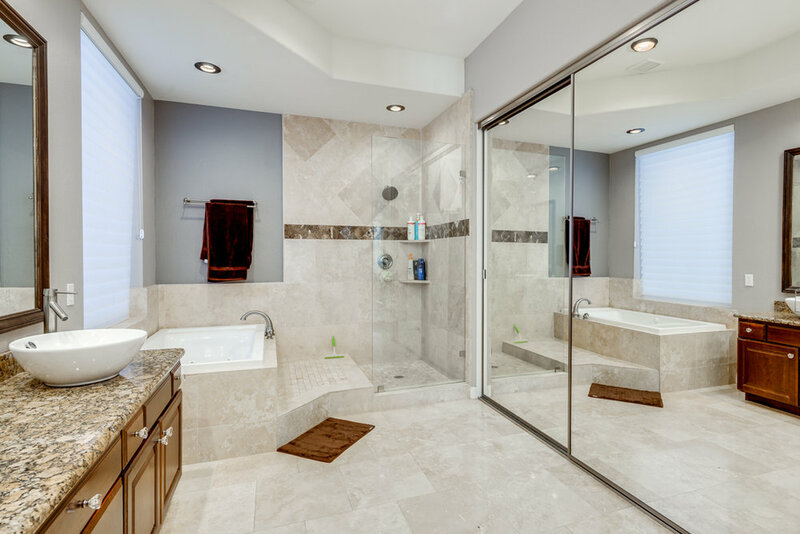 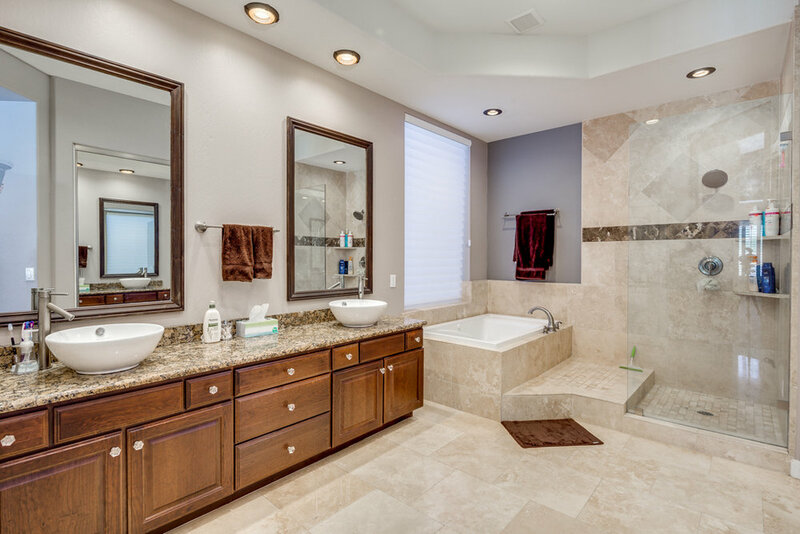 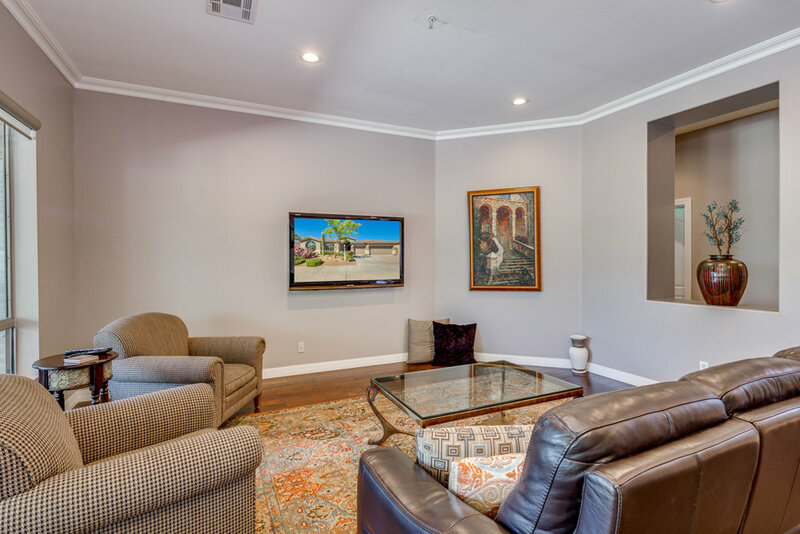 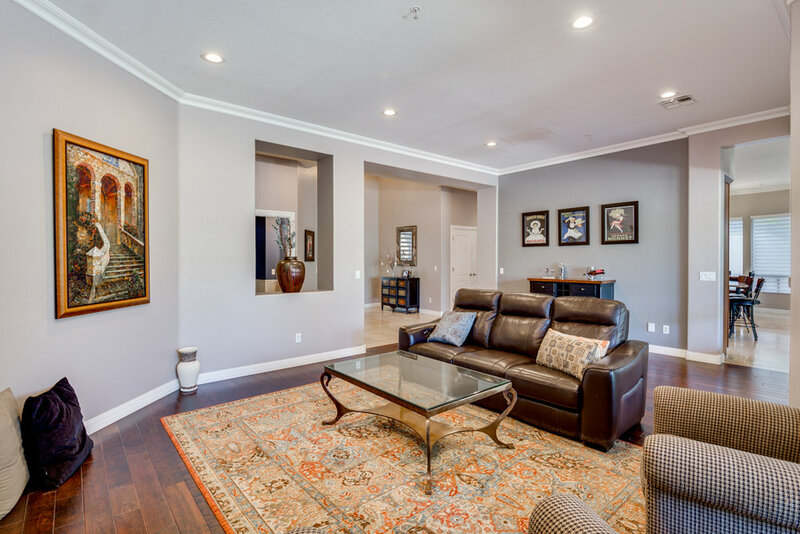 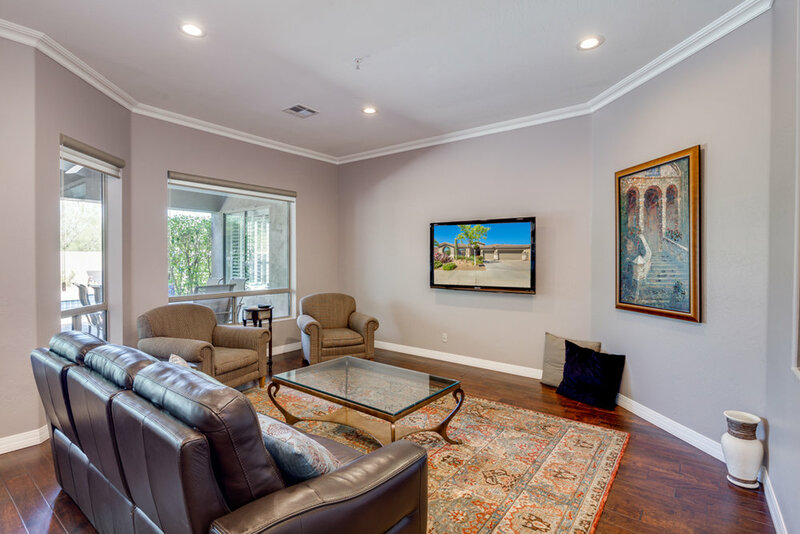 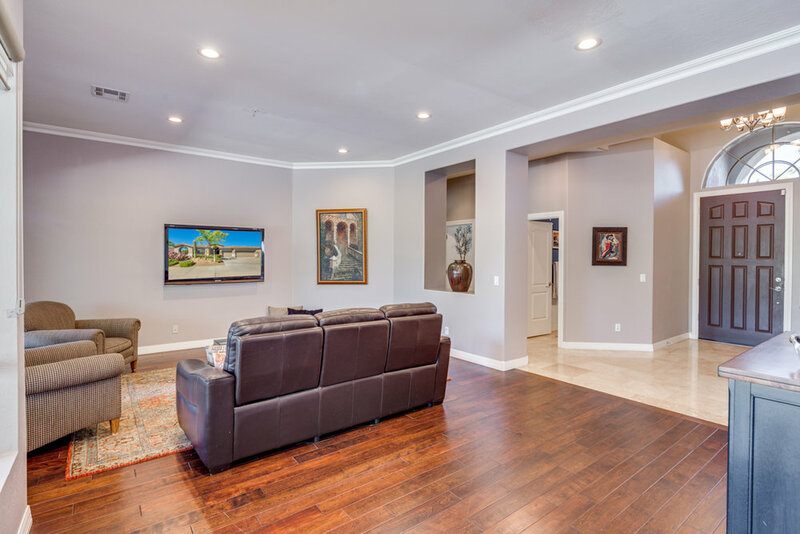 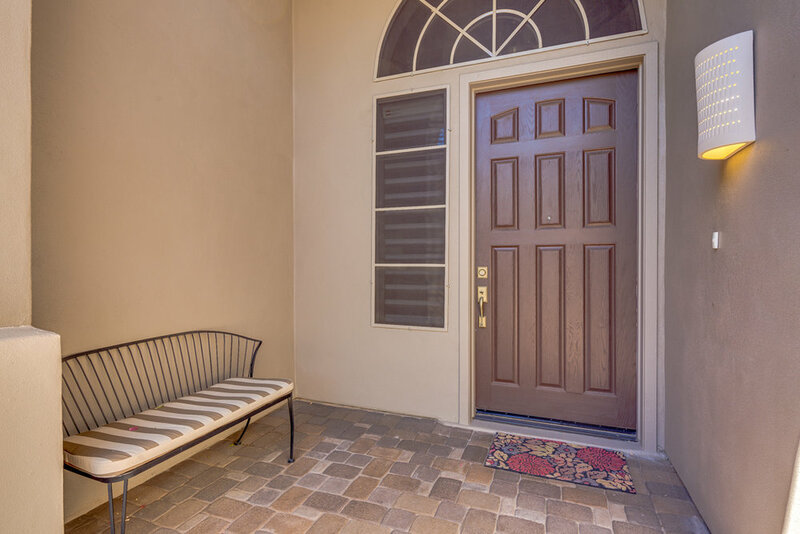 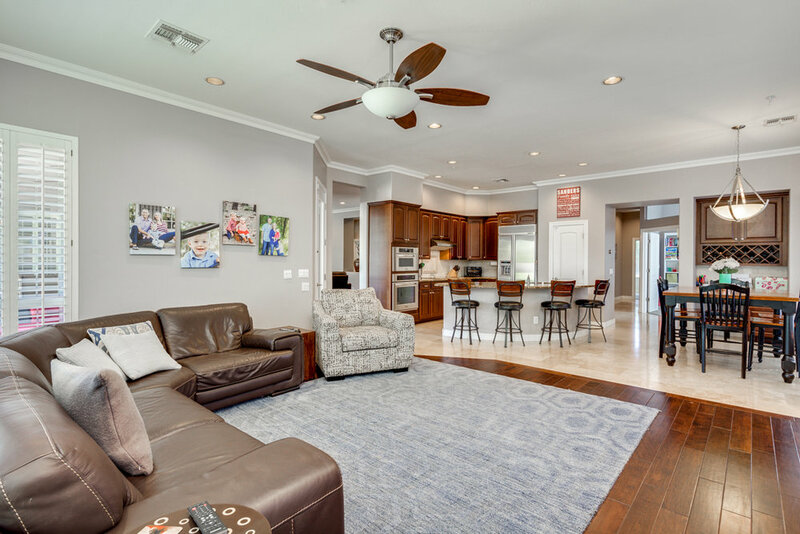 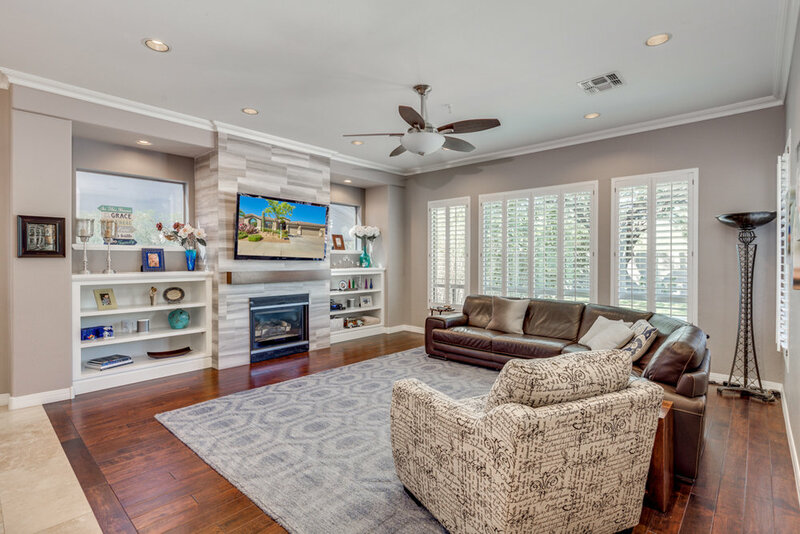 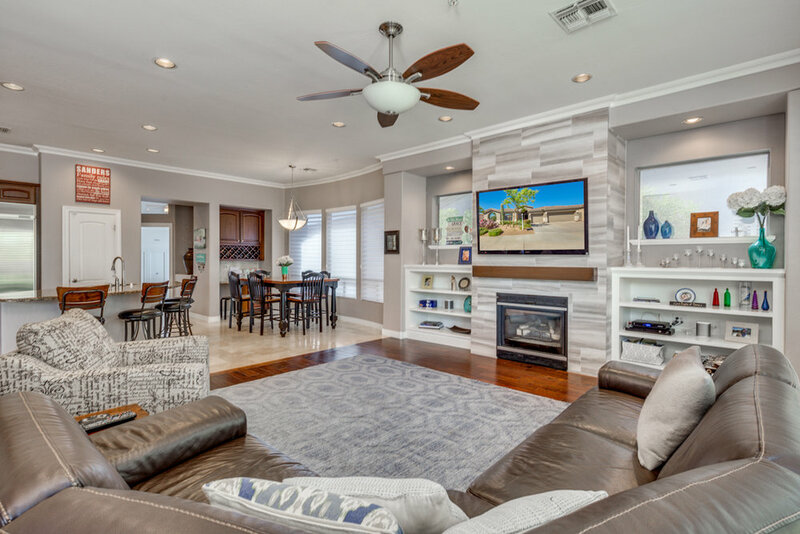 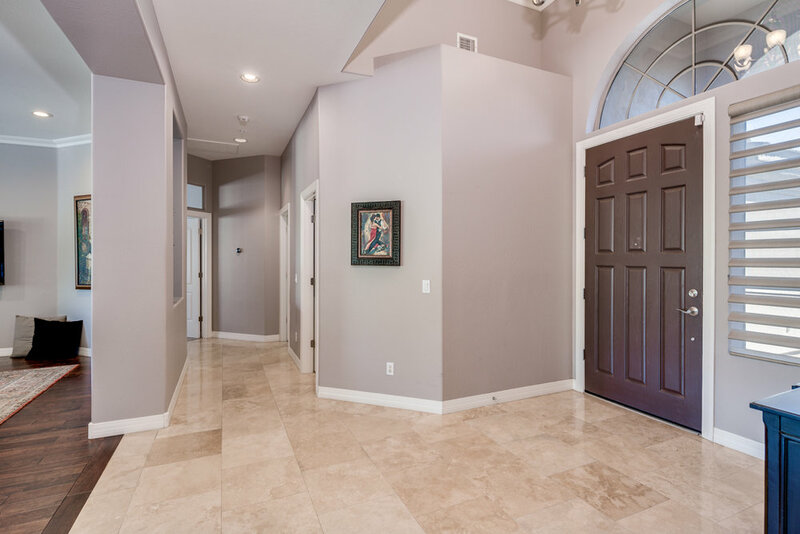 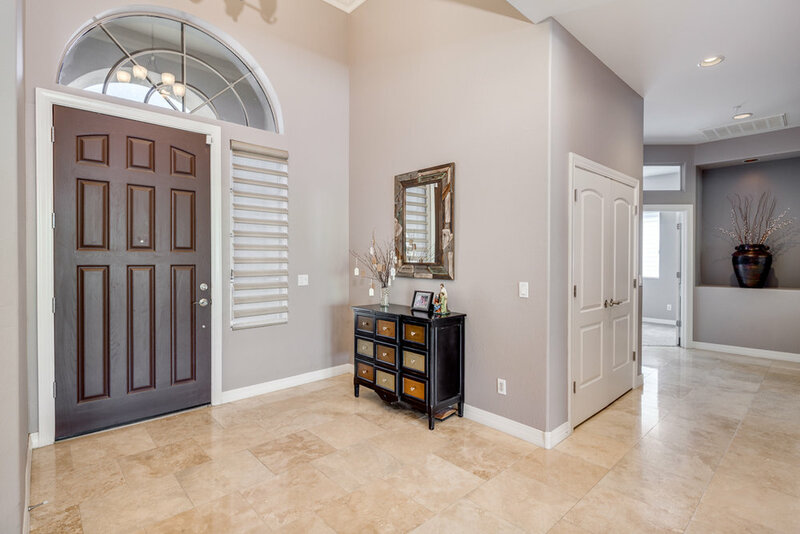 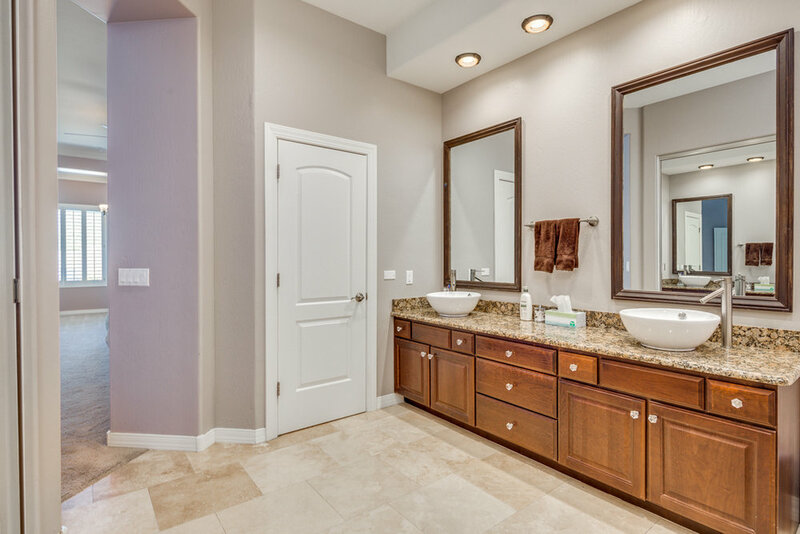 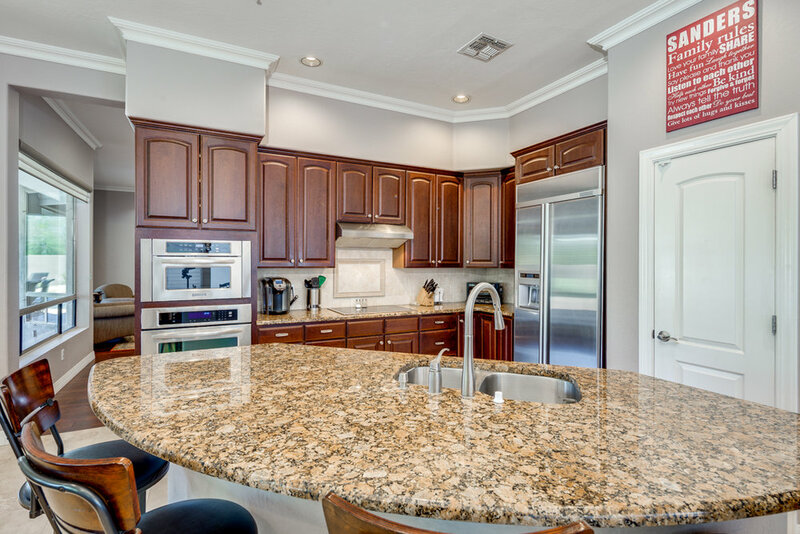 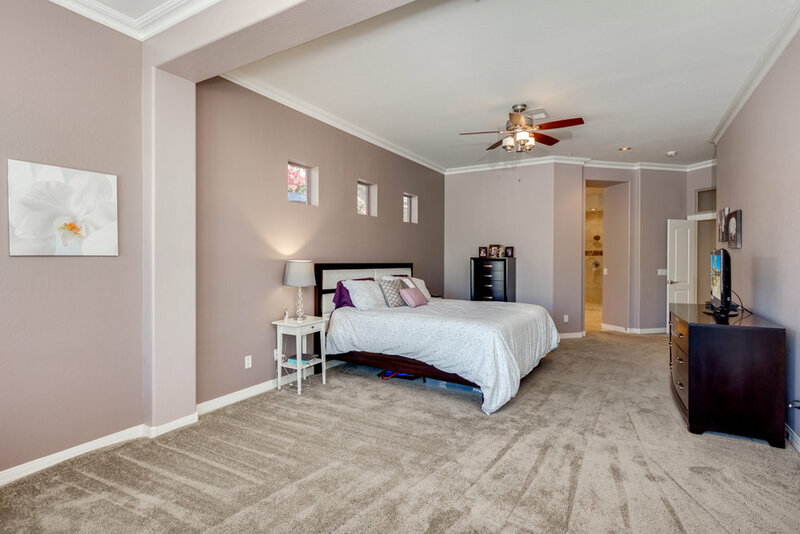 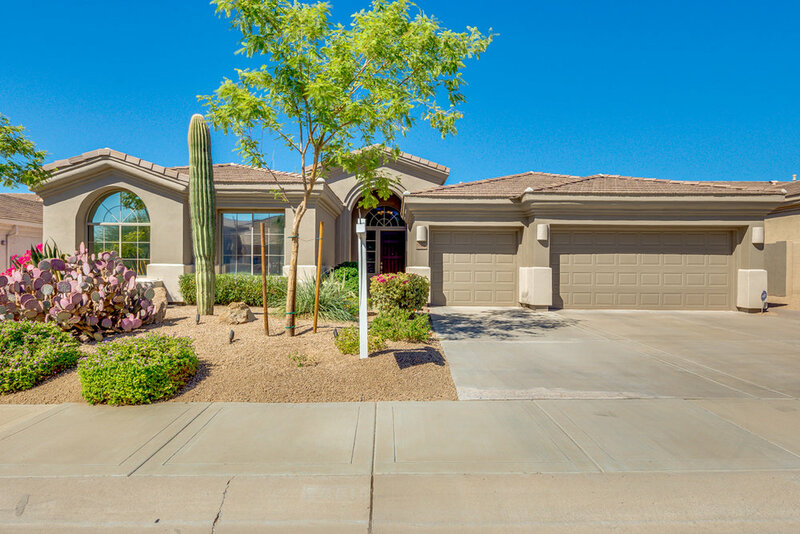 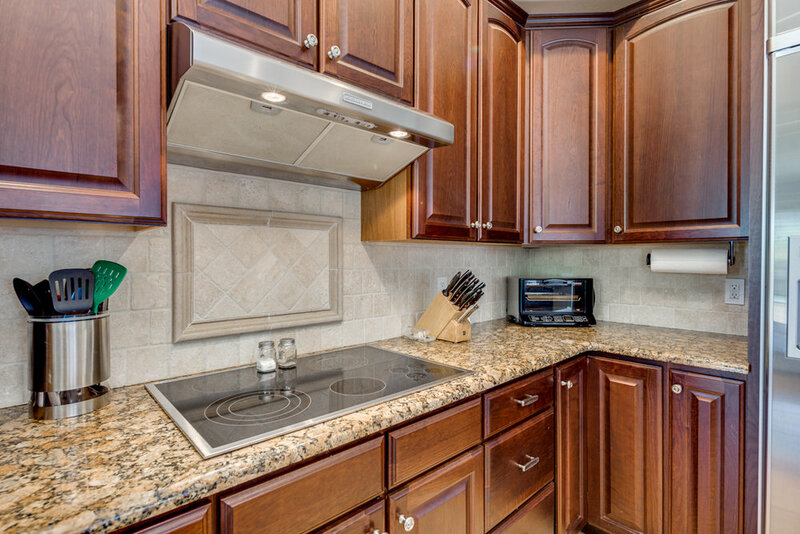 GRAYHAWK - Fabulous Coventry LaPalma totally upgraded to perfection including the finest of finishes; rich wood floors that adjoin polished travertine creating a sophisticated background and blend with dark wood cabinetry and granite countertops. 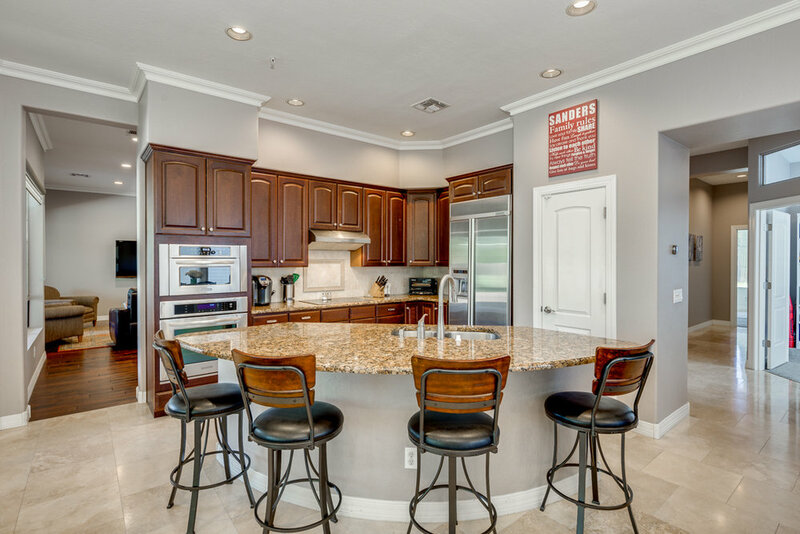 Dream Chef's kitchen is stunning! 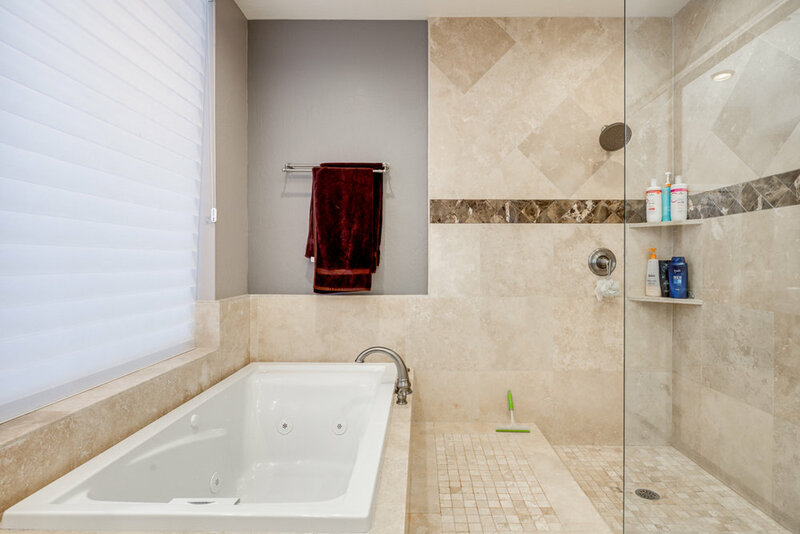 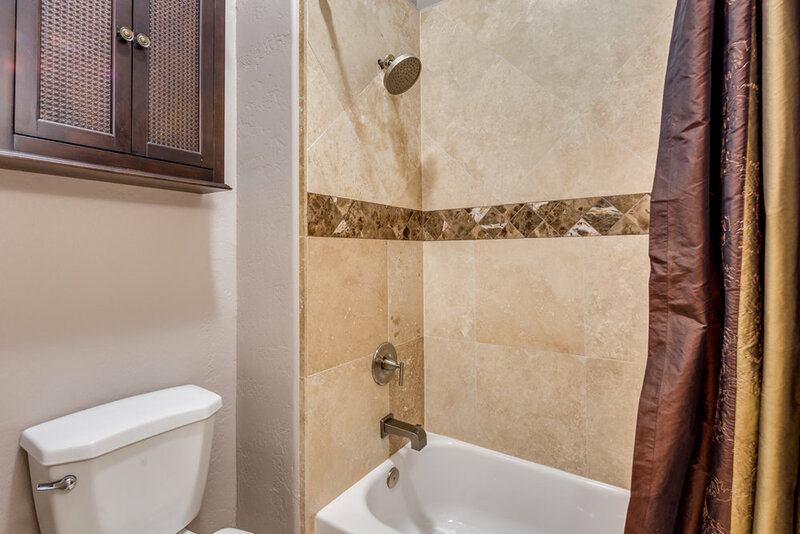 Spacious master includes a comfortable seating area, along with vessel sinks & a jetted tub in the bath area. 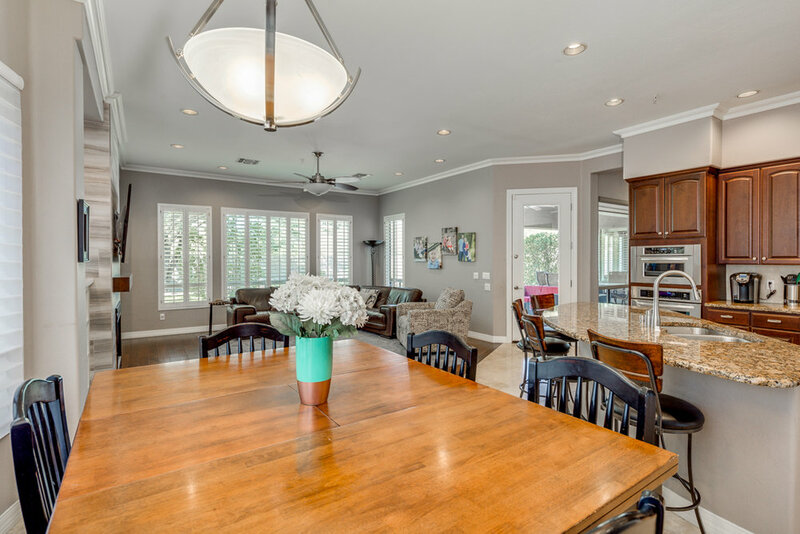 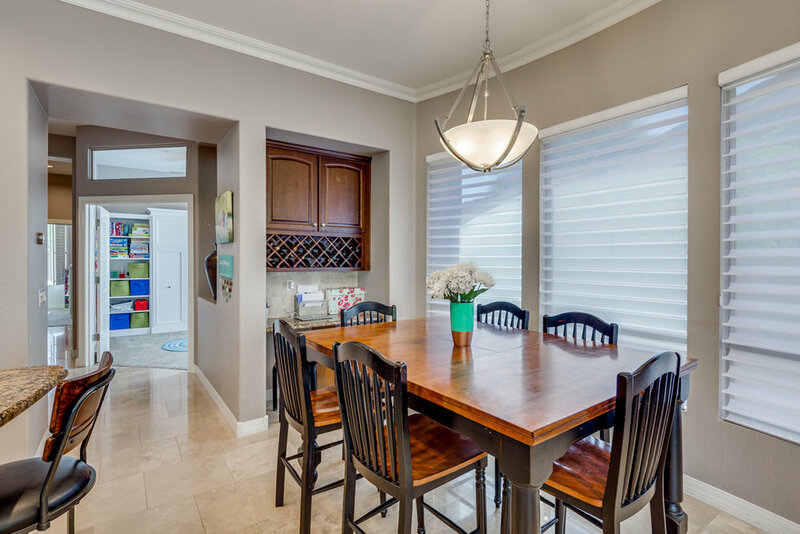 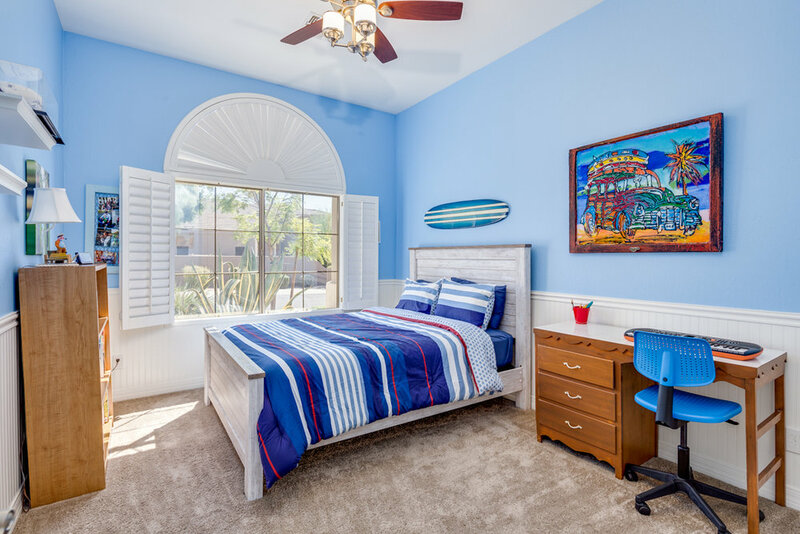 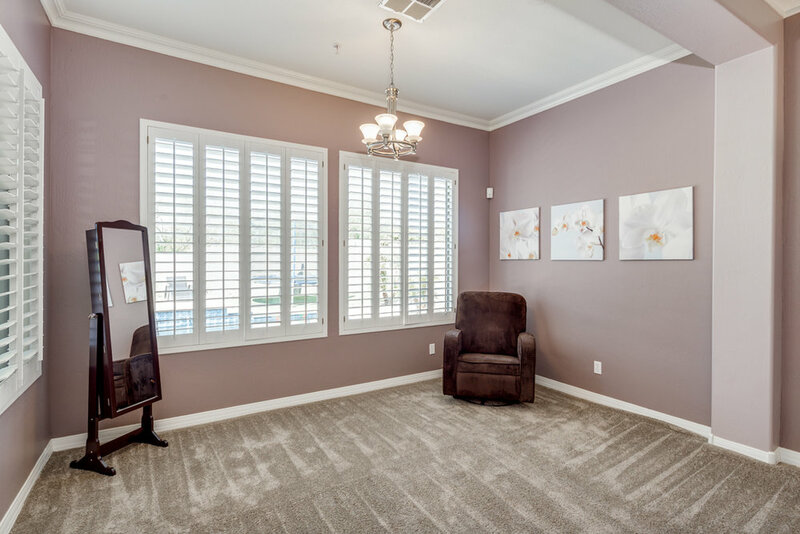 Plantation shutters & Hunter Douglas designer window treatments dress the windows t/out. 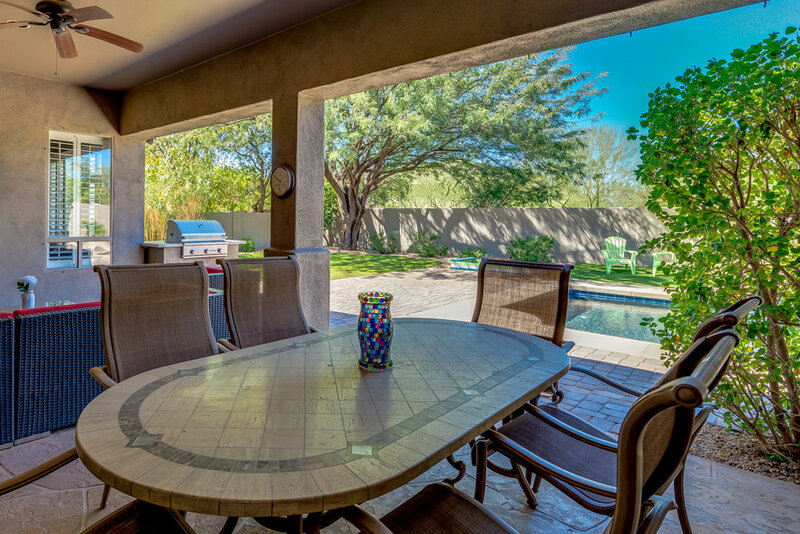 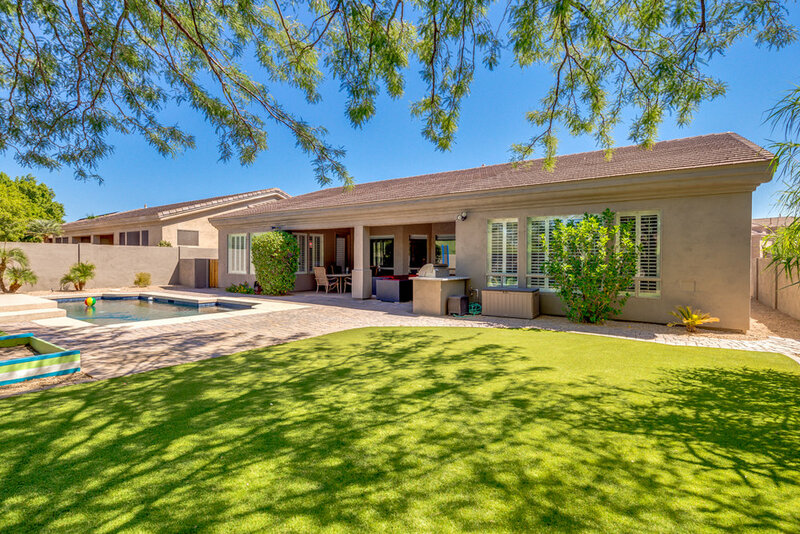 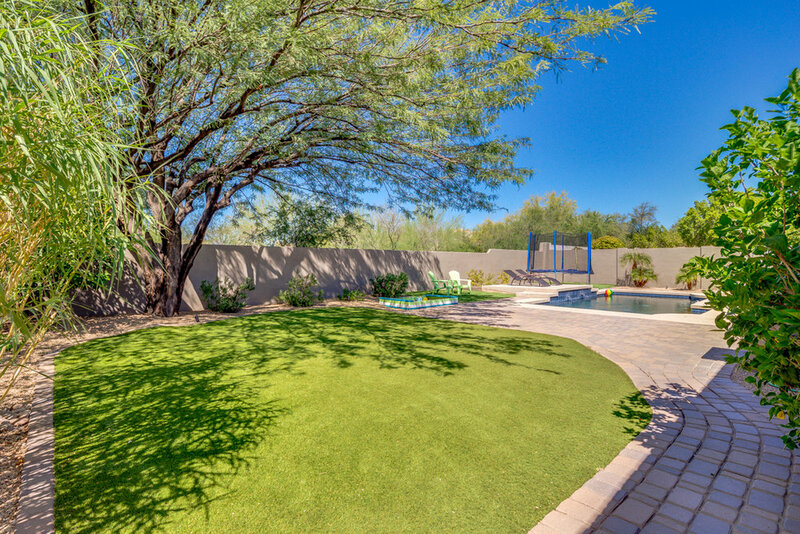 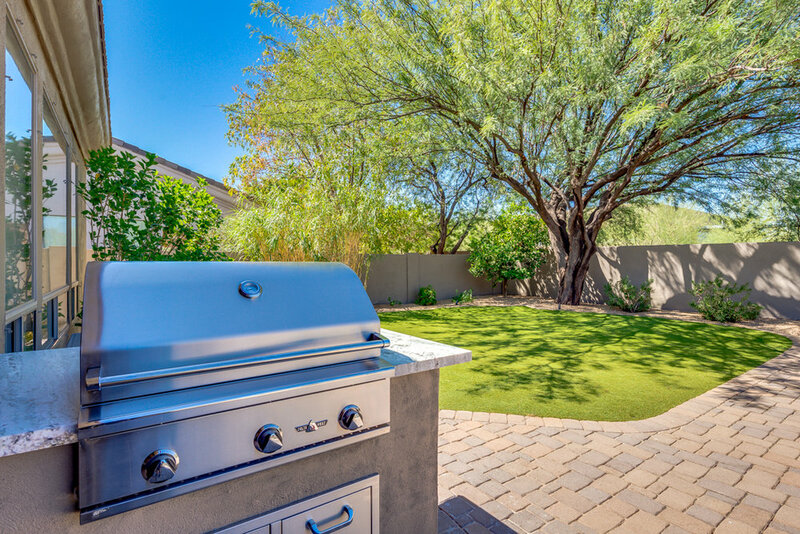 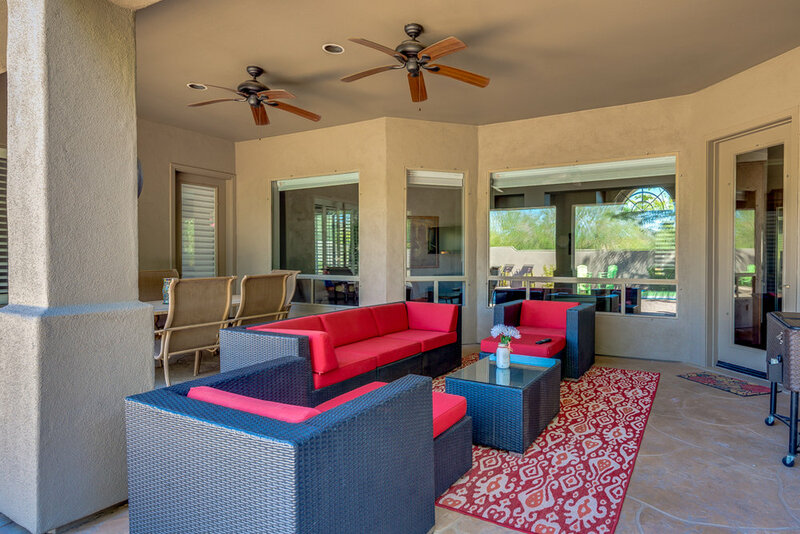 The exterior of the home was painted in 2013 and 2 energy efficient AC units controlled by a touch screen panel were installed in 2010.A commercial grade misting system is found in the back yard along w/stamped concrete on the back patio that leads to a pebbletec pool that was resurfaced.